Home / Pages / How do I add more pages to my website? How do I add more pages to my website? 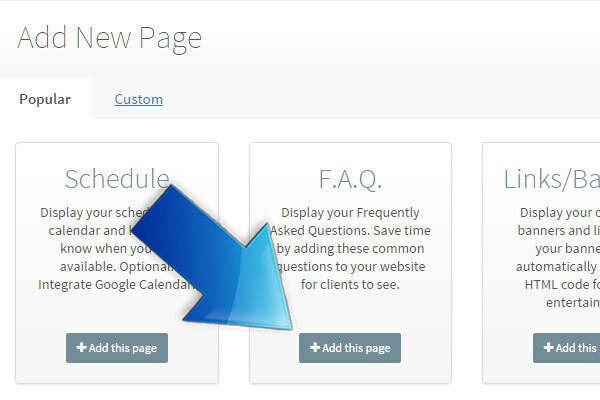 One way to personalize your website is by adding more pages. Choose from one of several popular kinds, or create your own. 3. 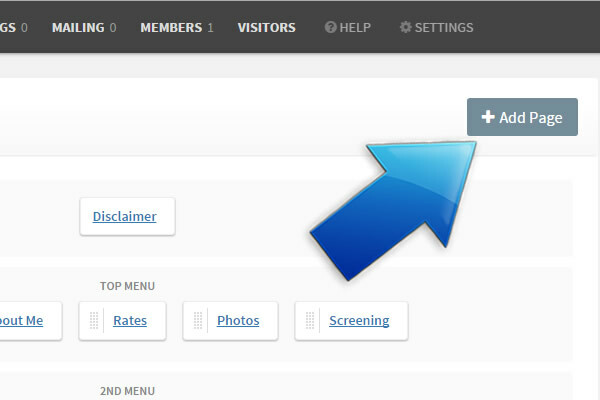 This takes you to a list of different kinds of pages you can add and customize to your liking. 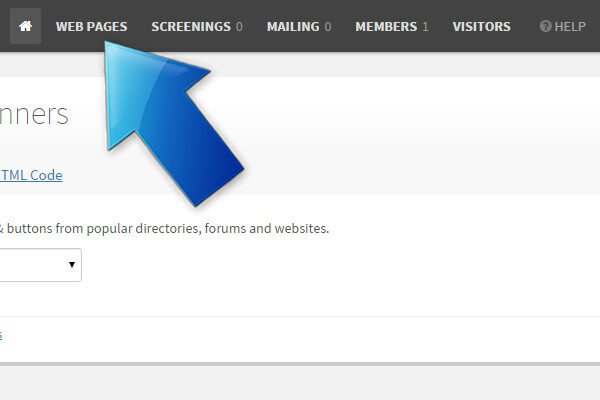 Pick a page to add and click +Add this page. 4. 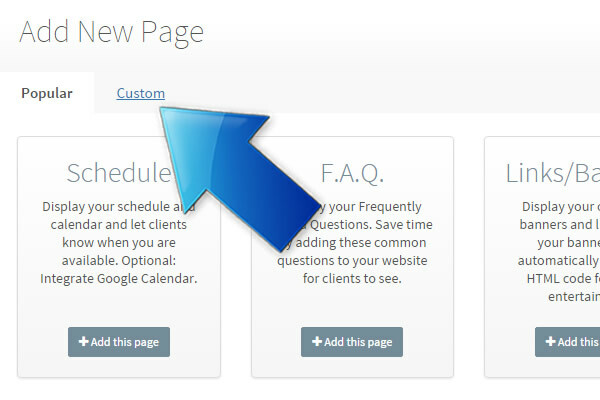 If you’d like a custom page instead, skip step #3 and click on Custom instead. 5. 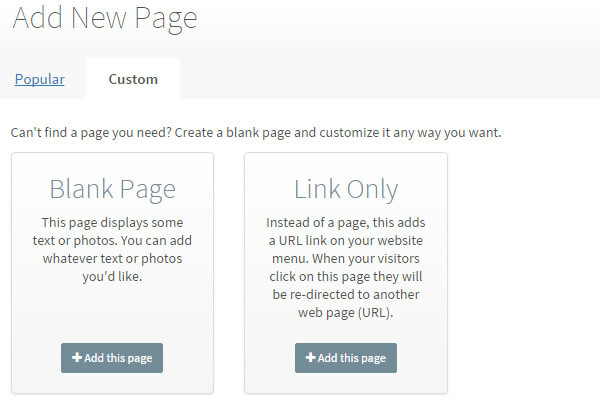 This is where you can make a page from a blank, or a link that will show up on your website menu.